SIS are pleased to announce that they are now the sole insurance partner for The Salt Academy, a Social Enterprise which reinvests its profits back into the community. 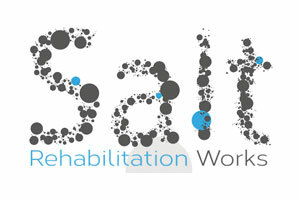 The SALT Academy aims to reduce the amount of ex-prisoners who reoffend by offering training and educational courses that can be attended during and after custody. Statistics show time and time again that education and employment makes prisoners less likely to reoffend. 90,000 ex-offenders are released from English and Welsh prisons each year and with one year, 65% re-offend. However, statistics show that those finding employment are 50% less likely to re-offend. How was SALT Academy formed? SALT Academy Director, Derek Jones knows first-hand that by giving chances to inmates, you are reducing the chance of them entering back into the prison system. Derek was once a repeat offender, but in 2003, whilst awaiting trial, he came up with the idea for Email a Prisoner, a digital communication service, which would allow family and friends to email prisoners for a small cost, thereby enhancing contact with loved ones and improving chances of rehabilitation. Email a Prisoner was a success and in 2012 Derek sold Email a Prisoner and its mother company, Prison Technology Services (PTS) to Unilink Systems.He continued in the role as CEO for PTS and began work on his new Social Enterprise venture, SALT Academy, striving to give help and support to people from disadvantaged backgrounds and to those that have been denied assistance due to their past. Education: Helping offenders to find suitable college or vocational courses, to get help in applying and enrolling, and even to find funding. Employment: Helping offenders with CV writing, gaining links to potential employers and recruitment agencies. Business Start-Ups: Sourcing funding and providing mentors to offenders who wish to start their own small business. SIS are proud to be insurance partners to the Salt Academy.